I am a big fan of the Today Show on NBC. When I was given the opportunity to review Siri Daly’s cookbook “Siriously Delicious,” I was so excited. The recipes she cooks up on the Today Show always have my mouth watering. It is one thing to watch her make these recipes, it is quite another to experience her creations. This book is filled with recipes for the healthy eaters to the not so healthy eaters. For those who have special diets like Glow 15, Whole 30, vegetarian or vegan, she has you covered with so many options. One thing that she points out in her “Spinach, Chickpea, and Tomato Frittata” recipe is that some of these recipes were borne out of finding what she had around her kitchen, especially on those days when the fridge was practically empty. Keeping that in mind, you have permission to swap out ingredients to go with either what you have or to match what your diet allows. 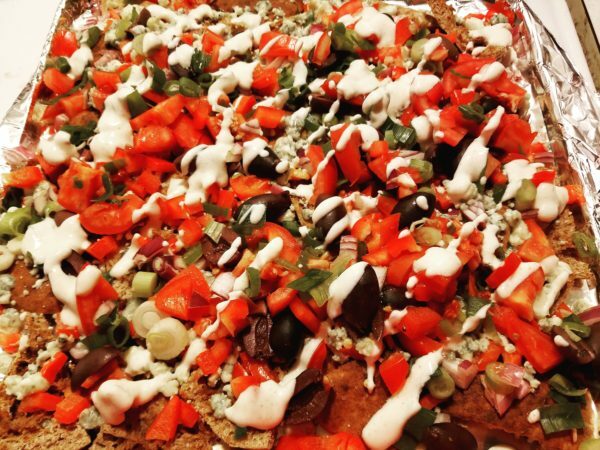 One recipe you will want to try is her recipe for Greek Nachos. Although, when I made this, I discovered my Feta had gone bad, so I substituted it with Bleu Cheese and it was amazing! This recipe is perfect for at home tailgating or just about any party. Never mind that they’re super healthy! I made her Buddha Bowl, but went with what I had and stuck to my Glow 15 lifestyle. Instead of wild or brown rice, I used black rice with coconut oil. Instead of broccolini, I used lemon braised kale. I had some roasted butternut squash leftover, so I opted to use that instead. The avocado? Well, that’s the Avocado Glow version (from Glow 15). The only thing that stayed true to her recipe were the chickpeas…and I highly recommend making the chickpeas. 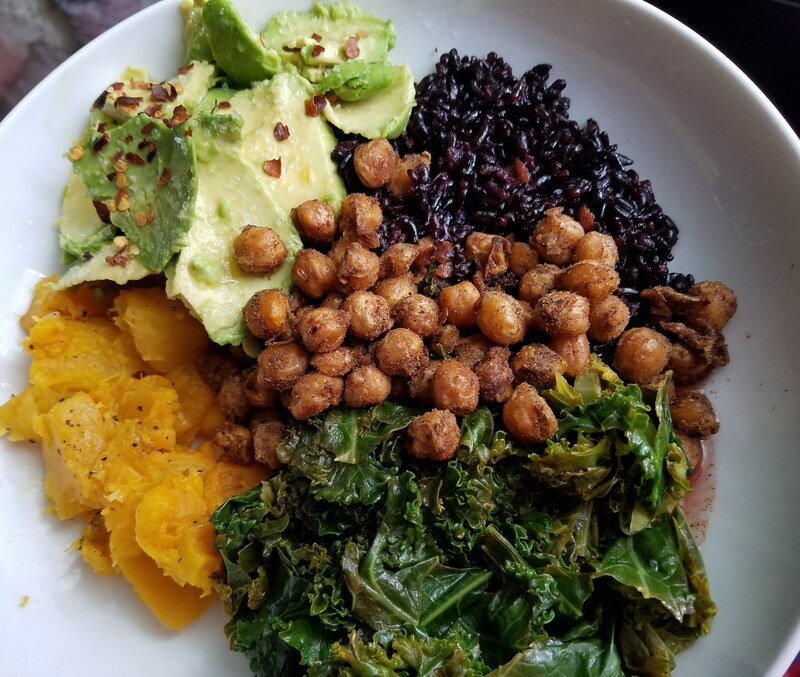 I used her original recipe as a guide to building my own Buddha Bowl and I have to say it was absolutely delicious! 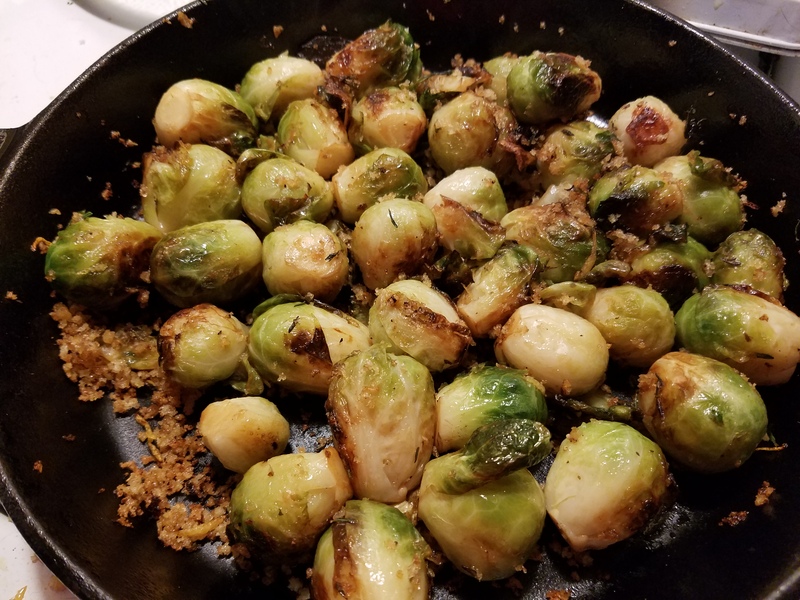 When I saw the Pan-Roasted Brussel Sprouts recipe, I knew I had to try this and this recipe did not disappoint. It was so good. Another favorite recipe is her Miso Tzatziki. I never would have thought to put miso and tzatziki together. 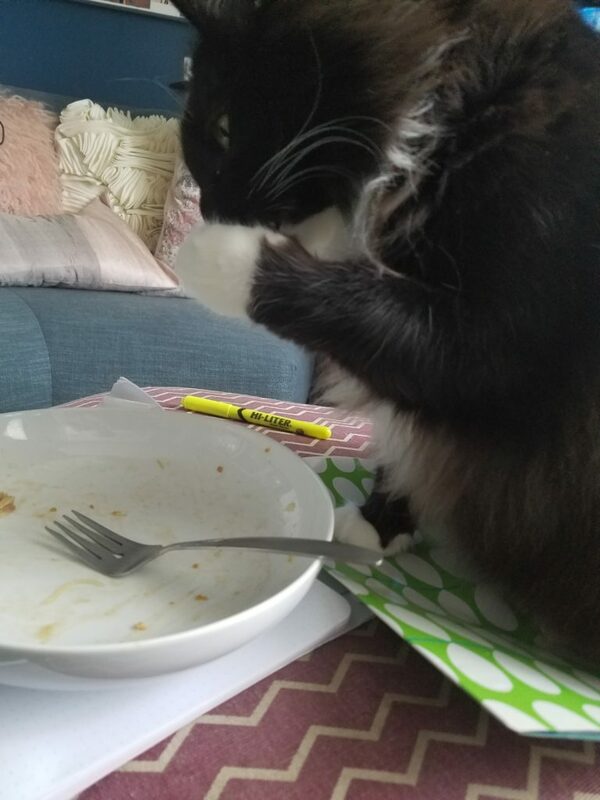 I mean, it was excellent! When I made Siri’s recipes, it happened to be on my no to low protein day, so basically my vegetarian day. My cheat day was the next day so I tried to make the Daly Fried Chicken to an epic fail. I have to go back and try to make it again. There were several mistakes I made. The first one being that I did not notice that the drumsticks did not have their skins when I dumped them into the buttermilk (damn Whole Foods). My second mistake was trying to use coconut flour instead of all-purpose flour (I ran out of all-purpose flour). So the next time I want to try the fried chicken recipe again, I am sticking to the recipe. I will be trying her Buffalo Baked Cauliflower, Asian Beef Lettuce Wraps and Spinach Balls this weekend. If you want a recipe book that is packed with delicious healthy (and not so healthy) recipes that are packed with flavor, this is the book for you. It is family friendly, and includes plenty of recipes for the various diets and lifestyles out there. If you are a foodie (like me), you will be happy with how every single dish is bursting with flavor. The majority of the recipes are very simple to make, but more importantly, it is designed to cater to what you have in your home. So many of the ingredients can be swapped out for like ingredients, which means you do not have to adhere 100% to the recipe. Siri had that in mind when she put this cookbook together, because when you have a family of 5 waiting for dinner, you can’t always drop everything to run out and get a missing ingredient. She gives you a guidebook on how to create each dish, but knows you may need to work with what you’ve got. Since the publisher shared her Greek Nachos recipe on Amazon, I am going to share it here as well. Like the book says, if you make anything in this book, let it be the Greek Nachos. I highly agree with that statement! Make the Dressing: Whisk together all of the ingredients until smooth. Make the Nachos: Preheat the oven to 400°F. Cut each pita into 8 wedges. Arrange the pita wedges in a single layer on an aluminum foil-lined rimmed baking sheet. Brush the pita wedges with the oil and sprinkle with the paprika and salt. Bake until crisp, 10 to 12 minutes. Remove the pita wedges from the oven. Increase the heat to a high broil. Sprinkle the wedges with the feta, bell pepper, and red onion. Broil until the cheese starts to melt, about 3 minutes. Remove from the oven. Sprinkle with the tomato, olives, and chives. Transfer the dressing to a squeeze bottle, or spoon into a plastic ziptop bag and snip 1 corner to make a small hole. Drizzle the nachos with your desired amount of dressing. Reserve any remaining dressing for another use. To make this more kid-friendly, top the toasted pita with store-bought hummus, feta, and diced avocado. It’s been a long time since I did a country focused post. I needed to explore a new cuisine I’ve never made (or tried) before. I asked a friend which country I should focus on this time and she came up with Spain! So over this last month, I focused on making and trying out several Spanish recipes. Today, I am going to share my favorite of the bunch, a tapas recipe featuring Spanish Shrimp in Olive Oil (Gambas al Ajillo). I found this recipe on Food & Wine. I have to say that this recipe is going to be an absolute keeper in my recipe book. Some modifications…if you can get fresh shrimp…great! But if you can’t, purchase frozen shrimp with the tails (I used frozen for this recipe). Also, make your life a little easier by making sure you purchase the shrimp already shelled and deveined. Make sure that you use high quality extra virgin olive oil for this recipe. It seems like there is a widespread epidemic where it is becoming more and more difficult to find real olive oil in America. I tried a brand from California for this recipe, but it is nothing like a good 100% Italian olive oil. For those who don’t know, there are a lot of fake olive oils on the market. Read the back of the label. Sometimes you’ll find that there are several different types of oils in that “olive oil” packaging, plus food coloring. That is not olive oil. It is fake olive oil. The Italian Mafia have been sending over a lot of fake olive oil and selling it on the US market to even the most well known food distributors in America, passing it off as if it is the real thing. Many of the major name brands are guilty of being fakes. It’s a billion dollar con. The only legit olive oil I’ve been able to find is at the olive bar at my local Food Emporium in Manhattan. I usually put a few olives in the container and then ladle up as much of the olive oil as I can. Weird, I know. Other good places to get olive oil are shops that specialize in olive oil. That way you can sample the olive oil before you purchase. According to this article, if you find olive oil from Australia or Chile, buy it. They are the most stringent countries putting out the best and purest extra virgin olive oil. This recipe is originally from Food & Wine. In a large bowl, toss the shrimp with 1 teaspoon of salt. Let stand for 10 minutes. Meanwhile, in a cast iron skillet, combine garlic and olive oil, cooking over moderately LOW heat, stirring occasionally, until garlic is very fragrant and just starts to turn brown (8-10 minutes). Add chile and cook, stirring until fragrant (15-30 seconds). Add shrimp to the skillet, stirring and turning the shrimp occasionally, until barely pink (5 minutes). Stir in parsley, sherry, lemon zest and a generous pinch of salt. Remove from heat. 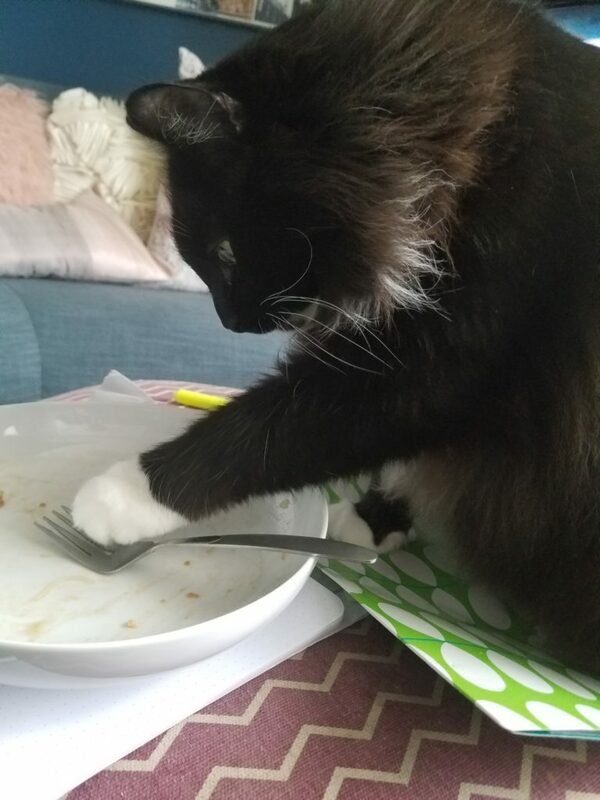 Let stand until shrimp is cooked through (3-5 minutes). 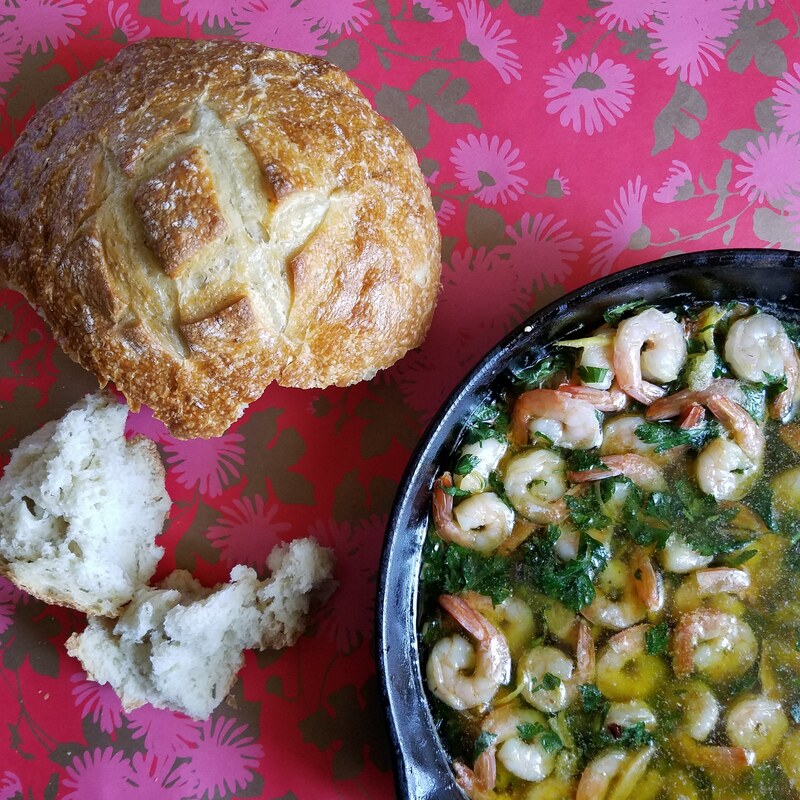 Serve in the skillet with crusty bread.